On Tuesday 20th March 2018, Victorian Minister for Industry and Employment, Hon Ben Carroll, and Senior Investment Manager Eastern Metropolitan Bev Lyttle attended the Bayswater manufacturing facility. 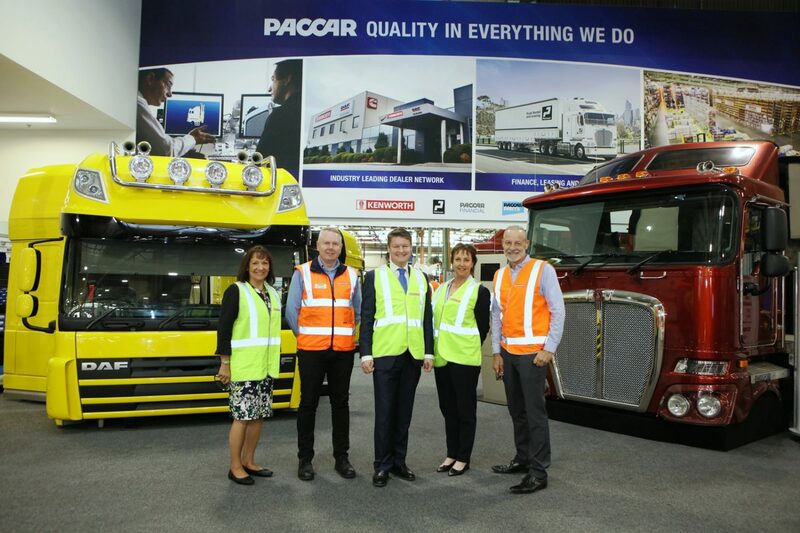 Following a presentation from PACCAR Managing Director Andrew Hadjikakou, they toured the plant with PACCR Operations Manager Tom Cooper and PACCAR Head of HR Robert Brierley GAICD CAHRI who introduced them to our Australian production facility and highlighted our Australian Made, World’s Best advantages. The Minister was impressed by the investment undertaken by the company’s ongoing investment in product development and manufacturing, and he was particularly interested by the impact Kenworth has on the contribution of jobs being created for both its local supply chain and dealer network. They also showed particular interest in our scheduled commencement of local DAF assembly towards the end of this year.